“Ash Hamman is best known for his previous hits such as ‘Body n Soul’, ‘Im Sorry’ , ‘Over’ and now ‘Wahala’. 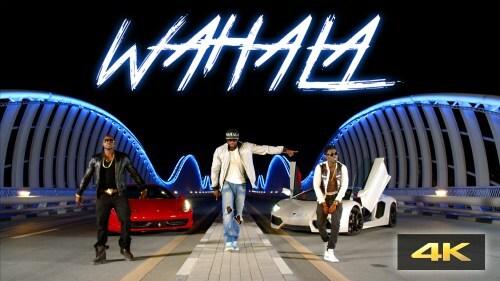 This hot new Afro pop / RnB track is certainly another up-tempo banger, ‘WAHALA’ featuring Orezi and Igho. The Afro-beat based song “Wahala” which means “Trouble” has caused shock waves in the markets it has been launched in and the video is definitely going to achieve massive appeal based on the concept as well as level of detail focused on the project. It is one of the most expensive and stylish videos in the last few years. The video was shot in Dubai and directed by Ash Hamman and Hanoz Navdar, showcases the lifestyle and appeal of Dubai as a frontier-market for music as well as a well-versed travel destination. “After having a killer performance at the NEA AWARDS last weekend, Bils teams up with Olamide to drop this fire STANDARD Remix. Damayo and D’Prince team up to deliver this very outstanding effort of a song titled – Hol’Up, produced by Psychotune. This song is Westernized by default with a little touch of the indigenous dialect. Dremo was very impressive when he debuted with a banging tune “Oluwa Baba nla Turnup” back in July and had some nice reviews. He has just dropped this new tune ‘Normal Levelz‘ ft. Icheba. I think this should clear all doubts any pending fans can have about him as an artiste. Dremo is new school and cool, check the new tune out below.